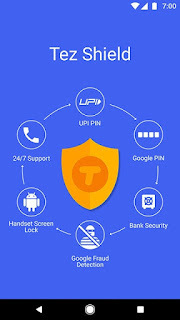 Google Tez UPI app:How you can sign up and transfer money? Google has launched NPCI UPI based payment app Tez.How you can sign up and transfer money? Finally global search giant global has entered Indian booming digital payment industry with the launch of Tez on 18th September.Tez has joined UPI club of PayTM, PhonePe, and the official app BHIM.Each bank has launched their own UPI(Unified Payment Interface) app. But private players are making most out of NPCI(National payments Corporation of India) UPI platform.Each UPI app comes with it's own uniqueness. After the introduction of UPI use of digital wallets has decreased considerably. Google has also incorporated a bit of innovation in its Tez app.One of the unique features included in Google Tez app is “Cash Mode” which helps you send money without needing the recipient's number or QR codes, instead using an audio matching system. How to sign-up for Google Tez? Let us see how one an sign up and use Google Tez UPI app. Step2:Open the app and choose the language. Step7:App will automatically fetch your corresponding bank account linked with your mobile number. Step8:After fetching bank account you have to set a UPI PIN.If you already have a UPI PIN then enter and proceed. Now you are ready to go. With Tez on hand what all things you can do? Earn Tez Scratch Cards to win up to ₹1,000 with each transaction and be eligible to win ₹1 lakh every week with Lucky Sundays. You don’t need to hunt for coupon codes. Just use Tez and if you win, your rewards go straight into your bank account. How to use use unique "CashMode" in google Tez app for transferring money? Step2:If you wish to make payment to nearby user just tap on pay or else if you are receiving payment just tap receive. Step3:App will automatically other tez users nearby through wifi connectivity.This resembles file establishing connection between two users in file sharing apps like 'shareit' or 'xender'. Step4:After establishing connection just enter amount you wish to pay and proceed. How safe Google Tez is ? Secure payments with Tez Shield:The Tez Shield works 24/7 to help detect fraud, prevent hacking, and verify your identity. 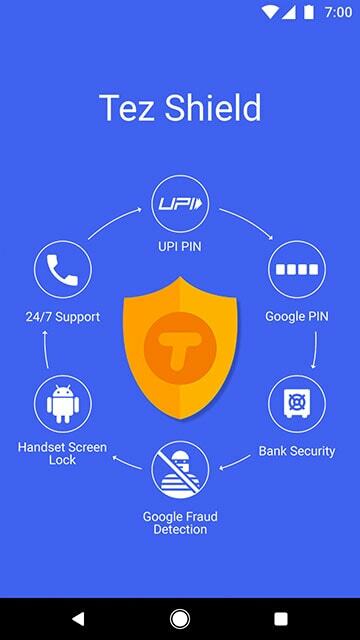 Two layer verification with Google PIN and UPI PIN.Each transaction is secured with your UPI PIN and the app is secured with a Google PIN or your screen lock method such as fingerprint. Why UPI apps like Google tez,PhonePe etc are preferred over digital wallets.? Answer is crystal clear. In digital wallets you need to keep money in your wallet which does not return any interest.But in UPI based app you need not keep money with app. Money will be kept in your bank accounts only, which will be earning regular interest also.UPI application is acting as an agent for transferring money. Since India is targeting a digital economy, payments apps like GOOGLE Tez will remain relevant in coming years. Like our fb page more useful and interesting stuff.....Share "Google Tez UPI app:How you can sign up and transfer money?" ..